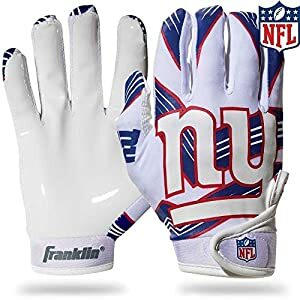 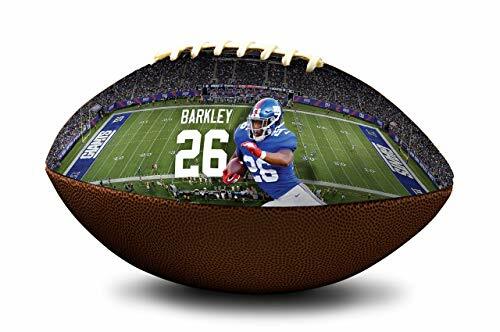 This is an official size football, featuring authentic logos and emblems of the New York Giants, and a complementary panel featuring Saquon Barkley. 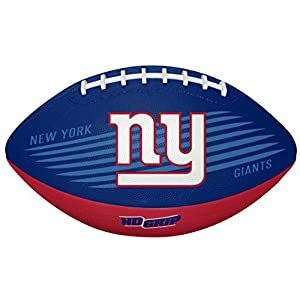 These footballs are crafted out of prime quality leather, and the ornamental panels appear in a high resolution finish. 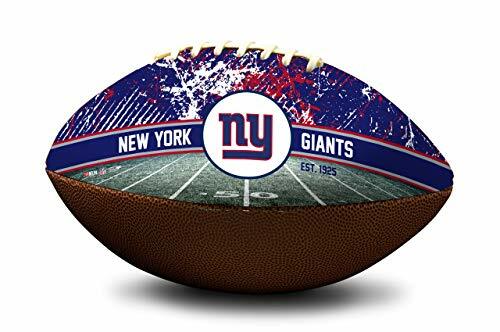 This ball makes a really perfect gift or collectible for any sports fan and is perfect for display, autographs, or just being appreciated as a unique addition for your collection. 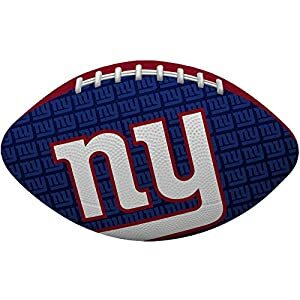 This one-of-a-kind collectible is a limited edition product, so make sure you lock yours up these days! 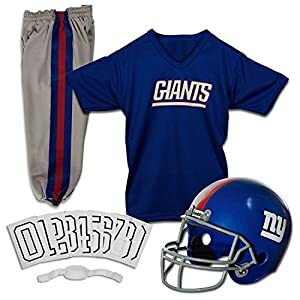 That is an officially licensed NFL product, and manufactured in america.